If you are searching for something special for your next corporate event in Rugby, David Fox will fit the bill. 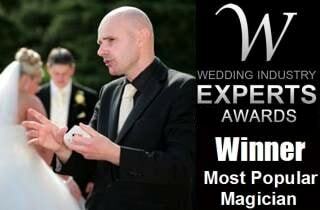 Potential clients, colleagues and associates will be well and truly amazed by your choice of entertainer. David has a wealth of corporate experience and will endeavour to ensure that all of your particular requirements are fulfilled. His preparation for performance is second to none and he always works closely with the events coordinator to ensure that his magic has the maximum impact. 1. The presence of David Fox at your corporate event will stimulate the proceedings and generate publicity for your company. 2. 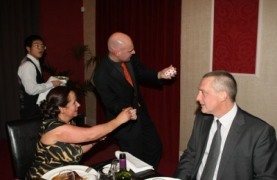 David is equally relaxed performing close-up magic during a drinks reception or captivating audiences with his superb stage show. 3. When you book David, you will receive excellent advice and full planning for your event. 4. Balance your entertainment budget with David Fox. He is extremely loyal to local businesses. 5. Your event will be a great success with David there. 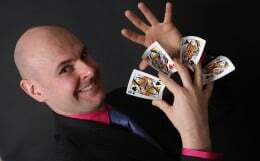 He is a regular performer at many of the largest companies in Europe.